While The Land looks toward the future with a boom in growth and development, many Clevelanders are turning towards the past with a growing interest in crafts dating back thousands of years. The tour was the latest in ArtSpace’s 12-year-old trolley tour series exploring the neighborhood’s burgeoning artist scene, but its first focused on glass. “We do them to promote the city of Cleveland and to really show the economic impact that artists have on the community and the city,” says Harriet Gould, founder of ArtSpace. Michael Mikula of MidTown Glass BlowingThe tour of Cleveland’s Glass Corridor ferried more than 70 art lovers between Benchmark Studio, MidTown Glass Studio, Petrovic/Russell-Pool Studios, and Superior Hot Glass, where guests were treated to a behind-the-scenes glimpse of what it takes to make the work of such world-class artists as Brent Kee Young and Kari Russell-Poole. 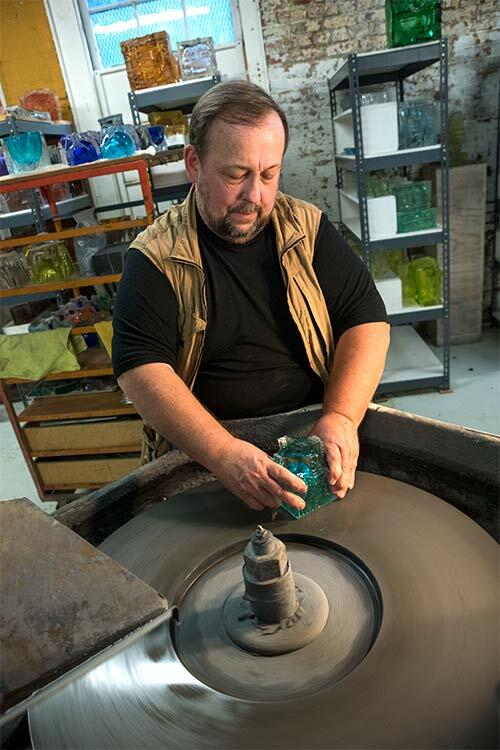 Although Benchmark Studio set up shop in MidTown 30 years ago, it was the addition of the other studios, including the newest (Michael Mikula’s MidTown Glass Studio), that signaled the time was right for the tour. “There are more people now working in glass than there ever have been,” explains Mikula. As Mikula explains, the abundance of glass studios is a relatively recent development over the past 20 to 25 years. When he graduated from the Cleveland Institute of Art in 1987, he struggled to find a studio from which to work before landing at Young’s Benchmark Studio. Today, besides the Glass Corridor studios, the city also boasts the Glass Bubble Project, Larchmere Fire Works, and Ohio City Glass—as well as more glass studios outside of the city limits. 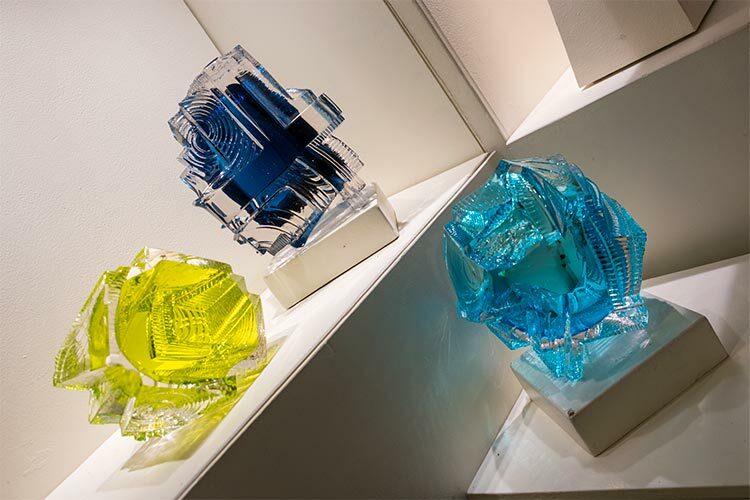 MidTown Glass BlowingSo what’s driving the increasing number of glass studios and artists? One reason is the presence of the Cleveland Institute of Art, from which many MidTown artists are alumni or former teachers. What keeps graduates here, though, is the city’s abundance of cheap studio space. The forgotten buildings of our Rust Belt past have turned out to be perfect spots for artists and makers. Mikula says it’s not just artists who are flocking to glass studios. 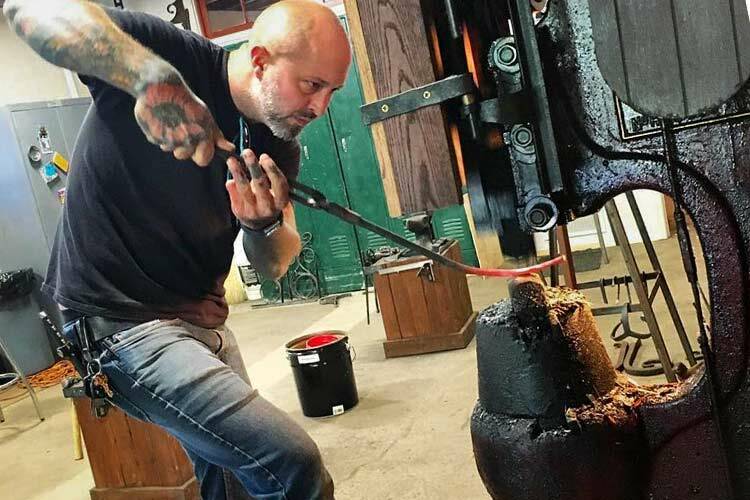 There’s a growing demand for non-artists to try out glass blowing. And many studios are responding by offering classes and one-off workshops for them. Brooke Lehman, co-owner of Cleveland Blacksmithing, sees this trend happening, too. When she and her husband, Gavin Lehman, opened their full-service blacksmith shop in Ohio City earlier this year, they intended on having Brooke’s art print business share the space. But when the doors opened in March, their Beginners Blacksmithing Class was already sold out through May. Instead, she closed her Etsy print shop and took on the business aspects of Cleveland Blacksmithing full-time. After growing her business for nine years, the couple decided it was time to focus on Gavin by moving him from his home blacksmithing studio to a public space where he could teach and take on commissions. Gavin was introduced to blacksmithing by a family friend 25 years ago. The product of pipe welder and art teacher parents, it was a perfect fit for Gavin. “It seemed destined he would end up making art out of metal,” says Brooke. He studied metalwork at Baldwin Wallace and has been doing commission work and private lessons ever since. 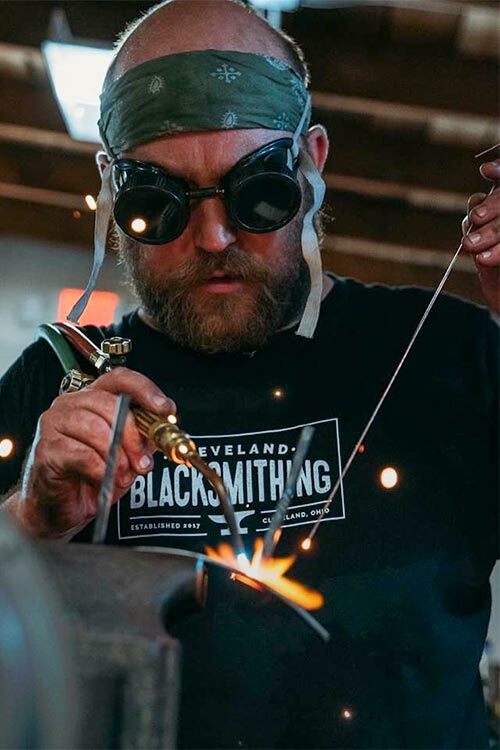 But at Cleveland Blacksmithing, he’s been able to expand his teaching to the public with its popular "101" classes where attendees hand forge bottle openers and decorative wall hooks, drawing people from as far away as Detroit and Pittsburgh. Attendees have been a diverse mix of people of all ages, from children to 60-something ladies sipping mimosas on a Saturday morning while pounding hot metal. The shop even offers eight-hour private lessons where students can dig deep into their own projects; another recent addition has been a membership option where those who fell in love with the craft can work on their smithing skills during open studio time. 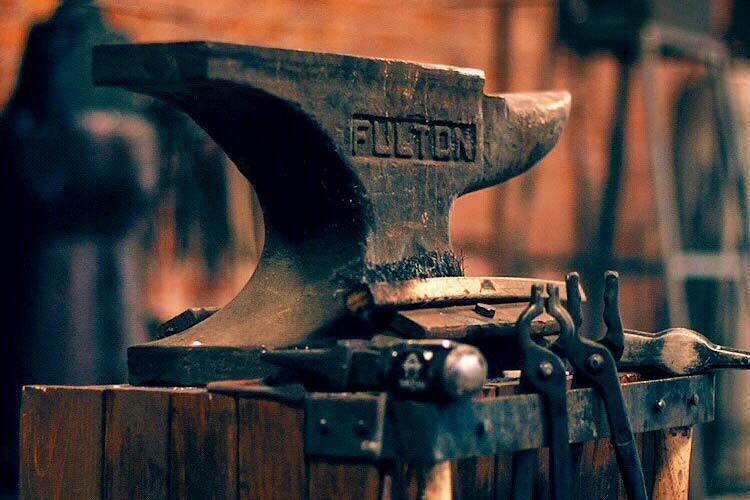 While the History Channel’s “Forged in Fire” reality show—which features craftspeople smithing weapons—attracts a fair amount of curious people to the classes, Brooke thinks it’s the novelty of the craft that’s most appealing, explaining that there’s no other full-service blacksmithing studio within at least a day’s drive of Cleveland. That, and the workshop trend. Riding high on the space’s success, Brooke is busy planning Cleveland Blacksmithing’s next steps, a festival called Cleveland Forge Fest—complete with demos, music, food trucks, and opportunities for smiths to trade tools, as well as her own spin on a studio tour.